I don’t need to say much else beyond Hell to the Yeah! 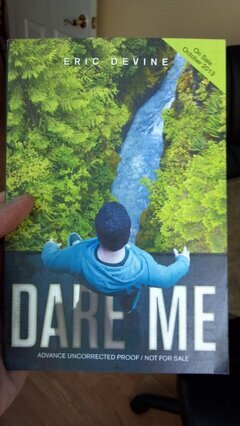 Just as Advanced Reader Copies of Dare Me are being given away at BEA, mine just came in the mail. The cover is gorgeous, and new to Running Press titles this year is a note to the reader from my editor. To quote her, summing up my writing, “Truth and Consequences.” I could not agree more. Now to get first reactions from those around me, including my wife.